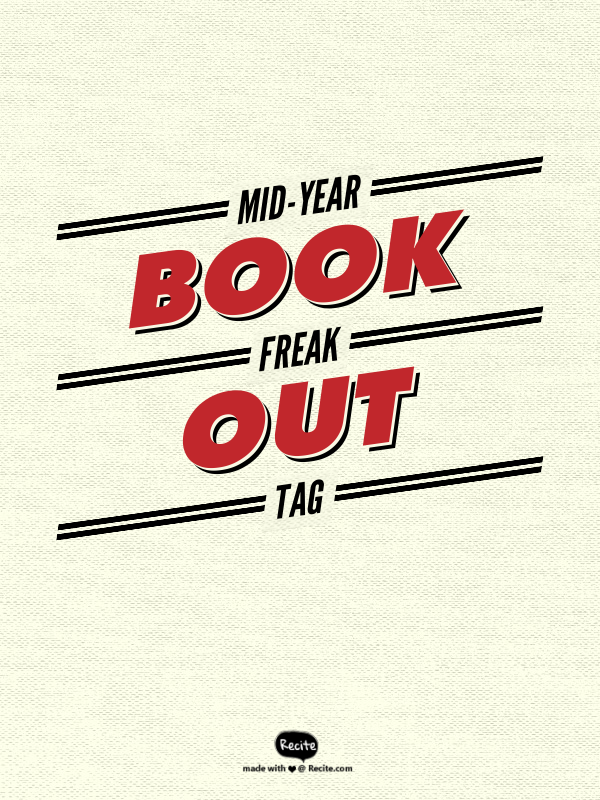 Thank you to Illeana @ Illeanas Book Reviews for tagging me for the Mid-Year Book Freak Out Tag. It’s been fun reading other bloggers’ posts of this tag, so I’m excited to get to participate! So, Bright Side was actually was actually written last year, but I didn’t read it until this year. It has been on just about every tag and list I’ve done this year, so it was only fair to declare it my favorite so far. It made me laugh and it made me cry. It touched my heart and now I try to “Do epic” every single day. I have two for this one because I couldn’t decide which to pick. Jessica Park surprised her readers when she released a sequel to Left Drowning last week. I loved catching up with Blythe and the Shepherd family. It wasn’t all fun and games, but a heartbreakingly beautiful story. I’m hoping Jessica Park will go on to write a book about Estelle next. Out of Time blew my mind. It was the perfect follow up to Nine Minutes. It answered questions I had and created even more. I can’t wait for the next book in 2016! I want to read this one but I haven’t ran out and bought it because I’m scared to read it. With a different writer, I’m not sure whether it will live up to my expectations. It’s not out until September 29th, but I cannot wait to read After You. Me Before You was the first book that’s really made me examine my thoughts on life and death. I want to know what has happened to Louisa since I last saw her. These two YA books tied for this one. I had such high expectations for them and I felt so let down after reading them. First, the cover. It’s not very exciting. Second, the description. It wasn’t something I thought I would want to read. Some Goodreads friends told me I had to read it, so I did. AMAZING! 7. Favorite new author (debut or new to you). If you love Colleen Hoover, you will love Ginger Scott. Jake from More Than This is my new book boyfriend. There are too many to list! I love Kate from Bright Side and Gus from Gus. They’re my favorite best friends. Tear jerker, I tell ya! I loved this cover. The colors are so pretty. Yikes! This is a really LONG list! I can’t name them all, but I really want to finish More Than series by Jay McLean. I also want to read Wicked Reckless and Paper Hearts (#clairewrites). Anyone that wants to participate! It’s fun! Did you get a chance at watching Me Earl and the Dying Girl in theaters? I haven’t read it but it’s definitely a film on my to-watch in the future. I haven’t! I really want to watch it. I actually think it’ll be a better movie than book.